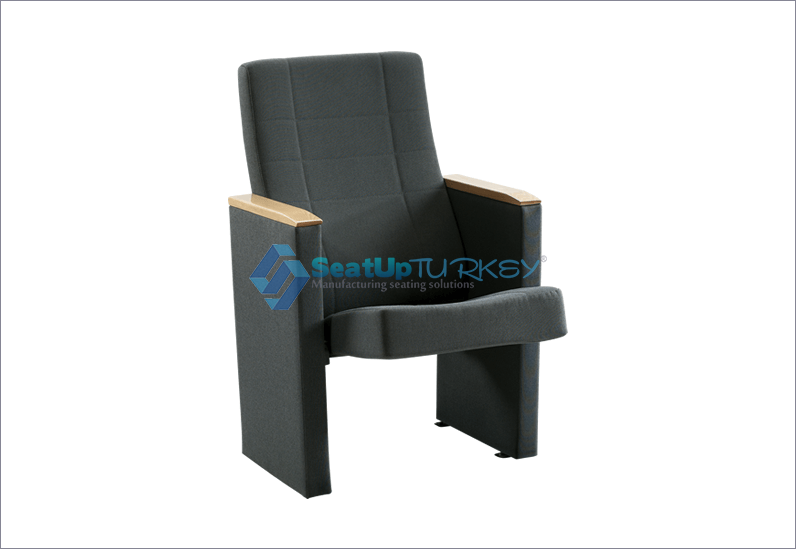 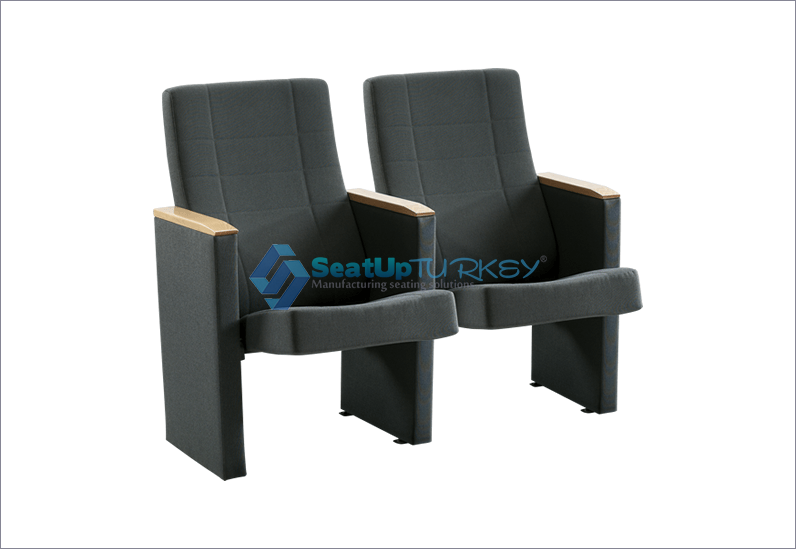 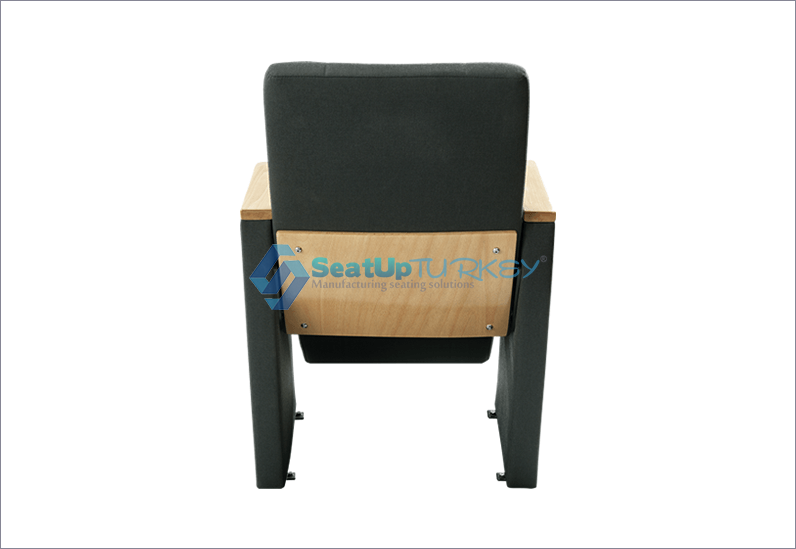 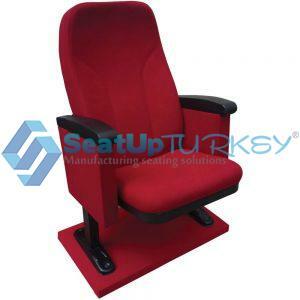 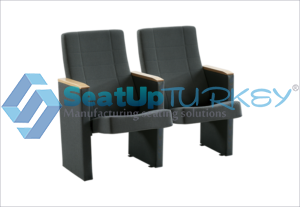 High quality Auditorium seat with Anti panic table . 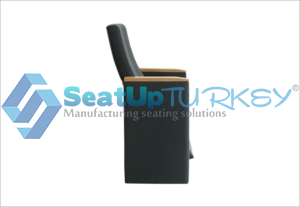 beech wooden armrest and upholstery with antibacterial fabric and anti flame with the highest EU standards. 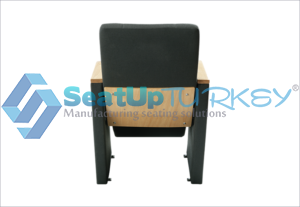 Anti panic table system can be apply. 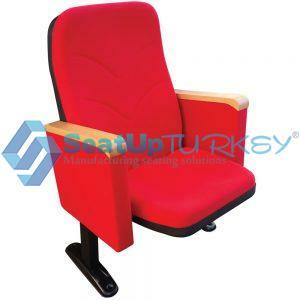 General Use: Conference, Congress-Halls, Theaters. 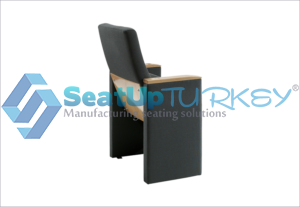 Leg: Metal double leg 2 fixing points per leg. 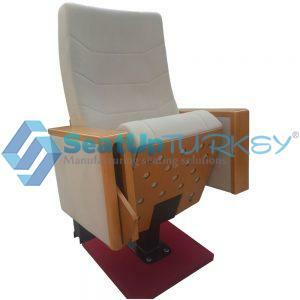 Extra: Anti panic wooden table. 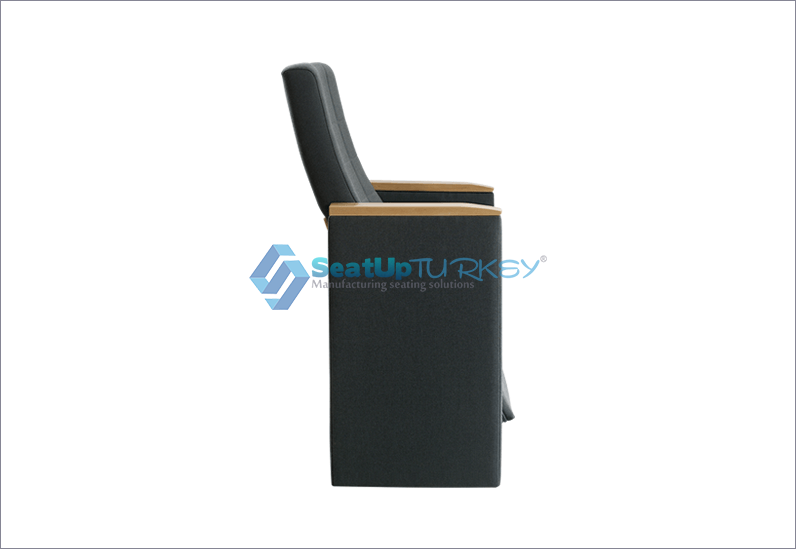 Chair seat: Foldable by gravity -upholstered. Chair back: Fixed back. 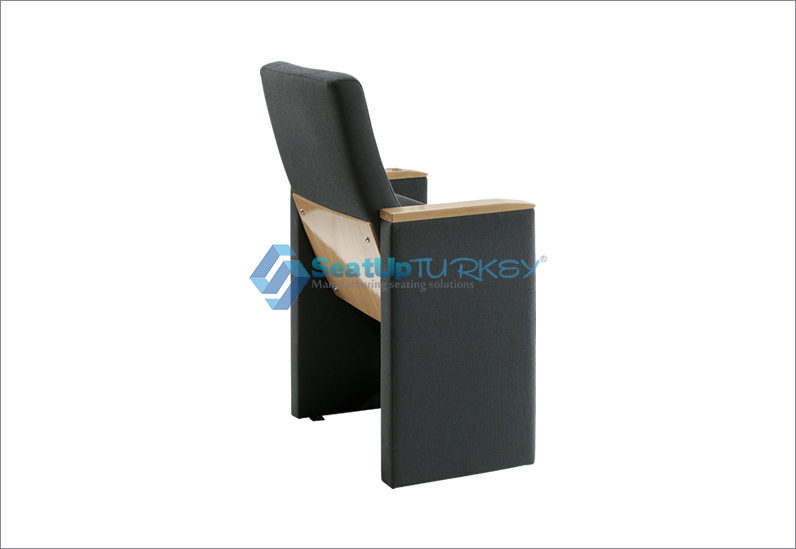 the lower part of the back can be coated with wooden panel. 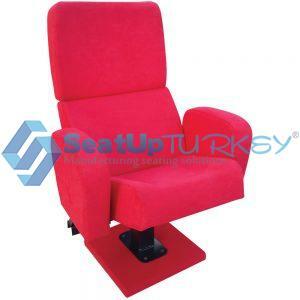 Dimensions: Width 55cm Height 96 cm Depth 58 cm.